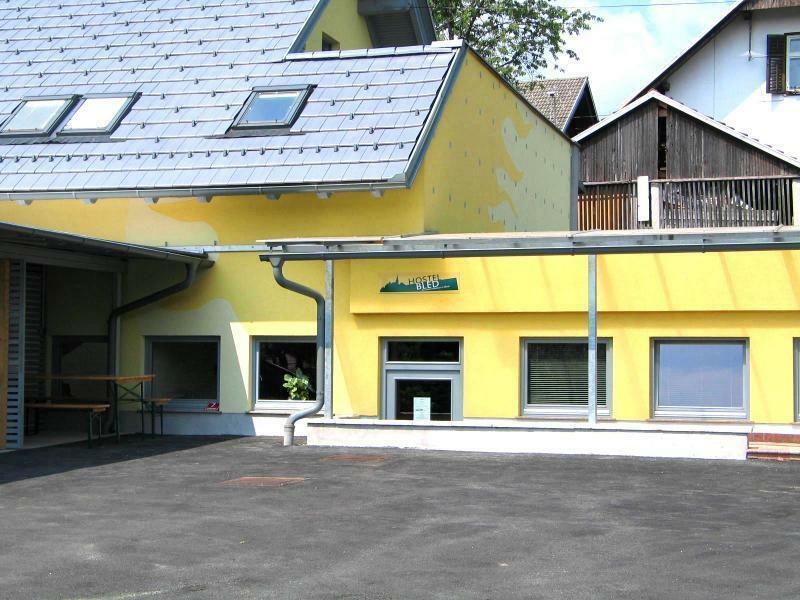 Hostel Bled is situated in an idyllic Ribno, a suburb village of Bled.. It has 2 mixed dorm rooms, equipped with bunk beds and lockers. A free wi-fi is provided, also free surfing on internet. Guests can use a small kitchen to prepare a simple meal, make some tea or coffee. Or just relax in a common room, watching some TV, reading a book, chat with other travelers,.. Breakfast is on request. If the weather is fine, outdoor terrace is a proper place to spend moments with your friends there. Nearby are local restaurants and a bakery. Staying at Hostel Bled gives you a great starting point for exploring Bled and its surrounding. Lake Bled is a sightseeing that you wouldn't like to miss. A walk around the lake on a 6 km trail can be a nice recreation. You can take a trip across the lake with Pletna boat to the island or walk uphill to the Castle of Bled. Of course there are many outdoor activities a traveler can attend to. Hostel Bled can provide you with information needed. For adults age 18 and more te local TT is 1,01 per night, for youth age 7-18 localTT is 0,50 and children under age of 7 are local TT free. at the day of your departure luggage can be stored for you until 8 p.m.
You can come to our hostel from airport Pucnik, train station Lesce-Bled or Bled-Jezero and from the bus station in Bled. 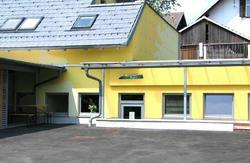 Hostel Bled is situated 1.8km away from center of Bled and the famous Lake Bled, in an idyllic Ribno. When you arrive to the local bus station, give us a call to pick you up or arrange transfer from the local train station. Coming by car you have to follow the signs for Bled first and after coming in Bled you'll see a sign for a detour to Ribno (1.8 km) on your left side. After the sign Ribno appears, you turn left in the crossing and follow sign Bodesce. 50 meters after crossing you'll see a bus station on your left and a detour to the village on your right. Seeing first houses you'll notice a sign for Hostel Bled and a car service Kia. You have to turn right immediately after passing car service Kia and go straight for about 50m. There we are in a nice yellow house.